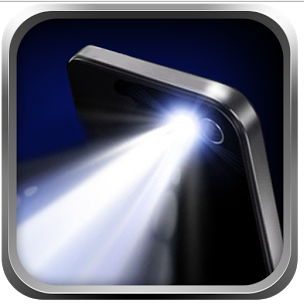 Super Flashlight is arguably the best flashlight utility ever developed for smartphones. It cuts the whole line of unwanted stuff and replaced that with something you can rather use. This is a well-built app and holds true to its claim. Following, we are going to see what makes it better than others. There is stiff competition for built in functionality in your phone that turns off the flashlight as it detects it’s in your pocket. This helps saving battery and proves to be a great functionality. Almost every developing company is adopting this for their new or already released flashlight app. One such company is Mobilead.INC. This company has succeeded in try to achieve this and presents a reliable solution to your needs. The Super Flashlight in better than others because its straight forward and gets rid of the other fake pleasantries. It replaces useless features with some great things such as keeping the flashlight on even if you have locked the screen. This is a functionality we don’t get to see much often. Moreover, this app has a rating of 4.4 out of 5 stars on Google Play Store. This literally proves that it is indeed one of the handy apps ever released. This is a no-nonsense flashlight. It doesn’t come for a hefty price tag or ads. It’s a free of cost flashlight that only serves its purpose. It doesn’t have any unnecessary widgets that you see come with many apps today. It features no ads, which will just make your life a bit of hell. For someone who wants to power up their smartphone LED in an instance without any other tangles, this is the app! Next ArticleHow Decentralized Crowdfunding can Help to Increase your Business Capital?